Has there ever been a more exciting lead-up to a Masters? 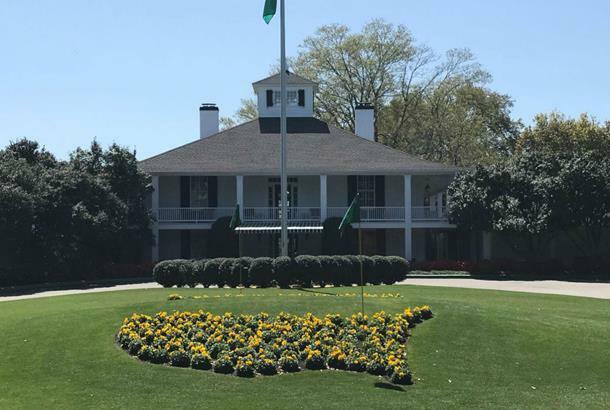 With Tiger back, Rory returning to unbeatable form at the API and a whole host of other storylines on the periphery that include two-time champ Bubba Watson, we might just be on the verge of the greatest Masters yet. With so many potential winners and a whole barage of incredible storylines out there, we've picked the players we think are most likely to win at this year's event. ➤ In the last 20 years, 11 winners had already won an event in the previous 3 months of that same year, including all four of the most recent champions. With 75% of winners being ranked inside the World's top 20 the week before they won the Masters, here are the World's top 20 and their current Masters odds (on Sky Bet). However, its worth noting that this may not be the final standings following the Shell Houston Open - the last qualifying event before the Masters. Currently neither Tiger Woods (11/1) or Patrick Reed (40/1) feature inside this top 20. If he hadn't produced the putting display he had on the greens at Bay Hill to win the other week, his odds might not have been quite as low, but McIlroy looks ready to contend for his chance to complete the grand slam at Augusta - and the bookies have put him as the current joint favourite with Spieth. McIlroy has finished inside the top 10 in each of his last four Masters starts (the only player in the field to do so), and while his PGA Tour stats might not be as impressive for this year - they don't take in to consideration his T3-T2 in Abu Dhabi and Dubai at the start of 2018, so he's probably a lot better than the stats suggest. Currently ranked No.2 for clubhead speed, 11th for total putting, 16th for scoring average and 23rd for SG: Total. The World No.1 looked a certainty to win last year, but fell down the stairs of his rental home and was forced to WD. He struggled at the WGC Dell Technologies match-play, losing all three of his matches, but prior to that won the Sentry Tournament of Champions and has three other top 10s in his last five starts. Currently leads the SG: Off the tee, putting average, birdie average and ranks second on tour in scoring average. Improved his odds dramatically with an impressive Sunday peformance at the Houston Open that saw him finish T3. Until then he hadn't played as well as he would have liked the last few weeks, but he's still managed four top 20s and three further top 10s in his last nine starts (the other two were MC's). Given Spieth's record at Augusta is 2nd-WIN-2nd-T11, it could well be the place he gets a fourth major championship victory. The real question around Jordan is his putting, but he performed a lot better in Houston - holing a 29 foot putt on the 18th to finish at 16-under for the week. He currently ranked 1st for scrambling, 10th in GIR, 6th in scoring average (actual) and 3rd in SG: Tee to green. He's come close before at the Masters, finishing T2 in 2011, T3 in 2013 and T10 in 2016. In four starts in 2018, Day has gone 1-T2-T22-T36, picking up his first victory in since the 2016 Players Championship at the Farmers Insurance Open. Currently ranked first for SG: Putting and total driving, as well as 4th for birdie average and 11th for scoring average. Bubba Watson loves Augusta, and the two-time Masters champion looks as good as he has in a long time following his two wins in the space of six weeks - ending a 2 year victory drought at the Genesis Open and WGC Dell Technologies Match Play. Thanks to this impressive turn around, many are tipping him for success at Augusta already. He did miss the cut last year and his stats aren't particularly strong this season, but given he's the owner of two green jackets and has won twice in the space of five weeks, he’s primed for a strong performance. JT already has two victories under his belt this season, and comes in to the Masters as a major champion for the first time - having triumphed at the PGA Championship last year. He had the chance to overtake Dustin Johnson as World no.1 before being beaten by Bubba Watson at the WGC Dell Match play (finishing an eventual 4th), but he's definitely one of the hottest players on Tour at the moment. Thomas is in a great position heading in to the Masters, and hasn't finished worse than T22 than this year, which includes four top 10s in his last four starts. He's ranked in the top 5 on Tour for scoring average, SG: Total, SG: Tee to green and putting average. He's played in two previous Masters, finishing T39 in 2016 and T22 last year. Lefty picked up his first victory in almost five years at the WGC Mexico, and has had four other top 10s in 2018 already. Mickelson is a three-time champion at the Masters, and given that he's ranked inside the top 10 on the PGA Tour for SG:Putting, SG: Approach to the green, Scoring average, birdie average and scrambling, his game is in great shape for the year's first major. Rose was the runner-up to Sergio Garcia in 2017, and if you need any convincing that he is ready to win a Masters - he hasn't finished outside of the top 10 in his last four starts in Augusta. Finished T5-T3 in his last two starts at the Valspar and Arnold Palmer Invitational, and is ranked in the top 10 on Tour for SG Total and Scoring average. After he pulled out last year and announced he'd had his spine fused, there were doubts he’d ever play here again, let alone compete at the top level. And yet, Woods showed his metal by having a chance to win back-to-back tournament a couple of weeks back, going 12-T2-T5 in his last three starts. In the past 20 years, only four winners have come from outside the top 10 after round 1 to win. Tiger has done it twice (in 2001 and 2005). He's currently ranked 105 in the World, down from 666th in December, and although the 14-time major champion said he hasn't putted on bent grass in 2 years - he's been spotted practicing at Augusta, so we have no doubt he'll be ready. Still searching for that maiden major, Fowler had a chance last year but struggled on the final day and finished T11. The World No.8's best result at Augusta came in 2014, where he was 5th, and has since gone T12-CUT-T11. He's had a bit of a mixed start to 2018 following his win at the Hero World Challenge in December, going T4-MC-T11-MC-T37-T14 in his first six starts this year. He struggled on the weekend in Houston last week, finishing with a pair of 73s after an impressive 66-68 start, but there was flickers of brilliance the first two days. Only three players in history have successfully defended their Masters title, and Garcia is looking to become the fourth. The new dad won all three of his group matches at the WGC dell Match play before being bested by Kyle Stanley 3&1 in the round of 16, and has had a victory and three further top 10s in just six starts in 2018. Certainly on form, and now that he is a major champion, will definitely like his chances as he starts at Augusta. Rahm started 2018 with a 2nd at the Sentry Tournament of Champions and victory at the Career Builder Challenge, but the World No.3 has gone a little off the boil since then (going T52-T20-T26-T11-T29), but we certainly aren’t writing him off yet. Was T27 in his Masters debut last year. Noren missed the cut last year, but the Swede has come close to victory on three occasions on the PGA Tour already - and the World No.14 could well be ready to win his maiden major title. A riskier bet, but Reed has three top 10s in his last three starts on Tour. In four Masters appearances has gone MC-T22-T49-MC. Casey won his second PGA Tour title after a space of 9 years at the Valspar Championship, beating out Tiger Woods by a single shot - which was just one of three top 10s in six starts in 2018. The Englishman has gone T6-T4-6th in his last three Masters starts. Just returned to action from a wrist injury and has gone T49-T36 since, but on his day can beat anyone. Has gone T11-T7-5 in his last three Masters starts. 4th in his Masters debut in 2017 which indicates the course definitely suits his game, but a bit of a risk given he hasn't had the strongest start to 2018. Was T5 in Abu Dhabi and hasn't missed a cut all year, but has back to back T52s in his last two starts. Has a lot more experience and wins since the MC on his debut here last year, but given only 3 players in history have won after a MC at the Masters the year before, that's why Tommy is on the outside bet pile. However, in seven starts in 2018 he's gone 1st-T6-T36-4th-T14-T26-T17, and the last five in the US. Ranked 5th SG: Tee to green, 7th Scoring average, but struggles in putting stats. With over 90 winning tips last year and the best online betting record why not join the Golf Betting Tipster where you can enjoy a free 7 day Trial. . . Golf Betting tipster will provide you with a weekly tips report covering both European and PGA Tours. We are unlike no other golf betting tipster!! Paul has to be in your picks for the Masters 2018 just take a look at his last three finishes. Experience around Augusta is paramount and he has that in abundance. If you take a look at his season so far on the PGA Tour he has had six starts made the cut all six times, five top 25's and two top 10's. Driving is key here and he is long and straight with an accuracy of over 68%, add to that his greens in regulation at over 70% inside the top ten on the PGA stats. Known as a good place bet over the years and what's wrong with that, he could be in the mix again on Sunday afternoon. We have tipped Paul Casey six times in our history coving all PGA and European Tour events, bet £5 each way total of £60 and returned over £200 purely based on place finishes. A very mix bag of results at Augusta but I feel he is a much better player this season and he does have the knowledge to shoot low round here. I like the way he has been starting the tournaments this year his first rounds he normal gets off to a flyer. Maybe a first round leader bet could also be a good. The team caught up with Mark at the Farmers this year we picked his brains regarding the Majors and he seemed to favour the Masters out of the four. His game ticks all the right boxes here, plus he has never been in such good form as previous years coming into this week with three top ten's and a second place already. The flat stick has to be on to win any event but here even more so and with a putting average of 1.723 and sitting 15th of the PGA stats it looking very good. Golf Betting Tipster does not normally tip players under 20/1 but Jordan has to go in this week. It's like his second home around here, I would place the bet to win here but even £10 each way still returns £140. First round leader could be a great little bet as well, in 2015 he opened up with a 64 and in 2016 a 66. His all round game is top notch even though a very slow methodical player if he makes the final group this could be off putting for the other player in that group. You must remember the 13th at the 2017 British Open I felt sorry for Matt Kuchar he was going alone so nicely until that long delay. Anyway Jordan has to be in your selection.